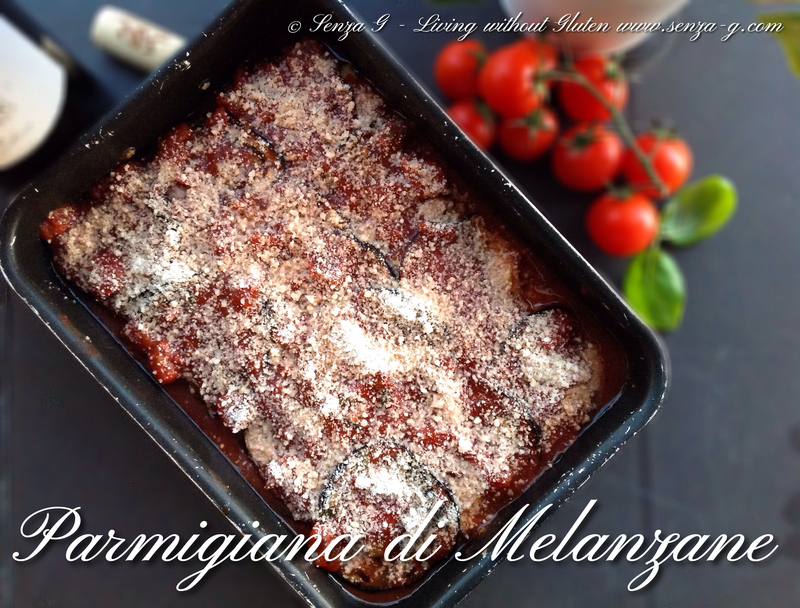 A twist on the normal Parmigiana di Melanzane since I added smoked Scamorza Cheese apart from the Parmesan as well as sliced hard boiled eggs. The result is absolutely out of this world ! I love mine with plenty of tomato sauce so I am quite generous with the amount. If you are on a diet, this is not the dish for you! If not, read on! The photo above is before it went into the oven. The finished result is below. Start by preparing the tomato sauce. Heat some olive oil in a saucepan and saute the onions until translucent. Add the garlic, but do not let it brown. Add the red wine, the crushed tomatoes, the tomato paste, gf vegetable stock, sugar and the bayleaf. Bring to a boil, turn the heat down and let it simmer for about twenty minutes. Add the freshly chopped basil and season with salt and pepper. Set aside. In a large pan, saute the aubergine slices in olive oil. They will absorb quite a bit of olive oil, so you will have to keep adding with every batch you fry. When cooked, put on kitchen paper lined plate. Spoon some tomato sauce at the bottom of a high baking dish. 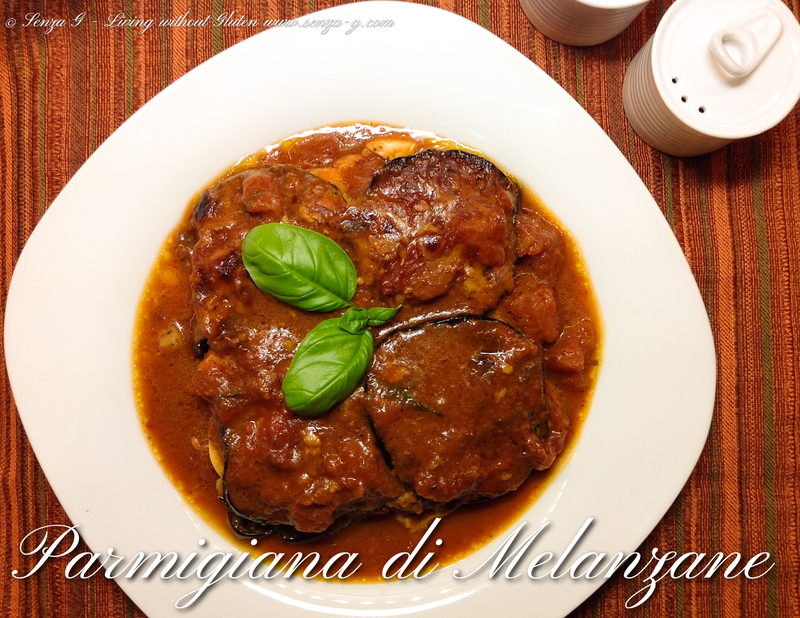 Place some aubergine slices on top of the sauce. Put slices of Scamorza Cheese on top followed by egg slices. Spoon some more tomato sauce and sprinkle liberally with Parmesan Cheese. Repeat this process until you finish with a top layer of aubergine slices. Cover the top of the slices with the remaining tomato sauce. Again sprinkle the top with Parmesan Cheese. Put in the oven and bake it for about half an hour. Leave to rest until cool, so it will set before cutting and serving.